The hot humid weather brought on a nice crop of chanterelles - which we have not had for a couple of years. Corn is also "in," much more reliable. 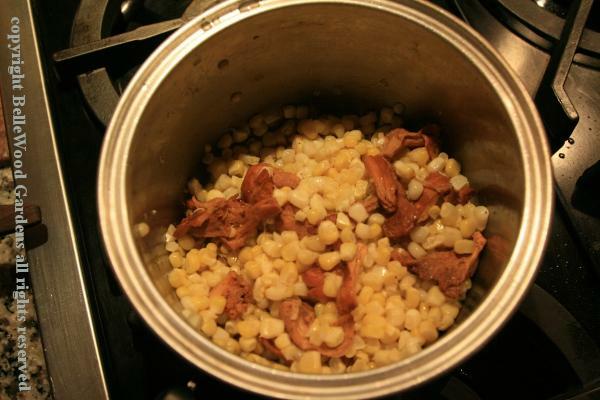 So last night I stripped kernals off the cob and paired with sauteed chanterelles. Quite delicious, and it wasn't my opinion - himself said so too. If you have any leftover, turn it into fritters!! !